Here's a solution I came up with to GFCI protect the receptacles on a second story eave for Christmas lighting. 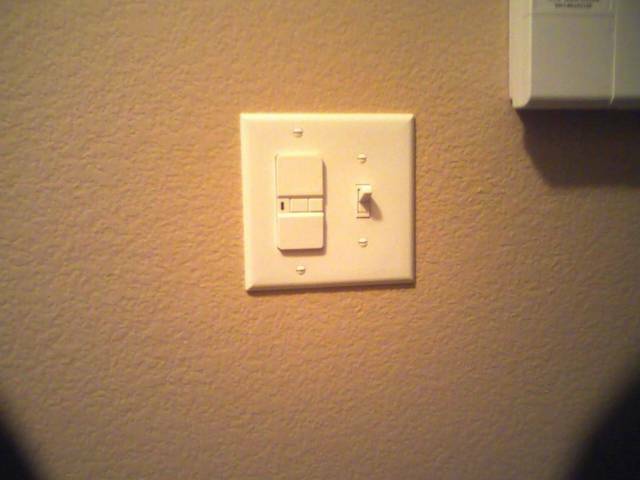 A GFCI module and a simple light switch so the HO can simply turn the lights on and off. What do you think? Is that a Cooper dead front gfci? That looks a lot cleaner than the Leviton and P&S I normally use. Good concept. Just carious though. 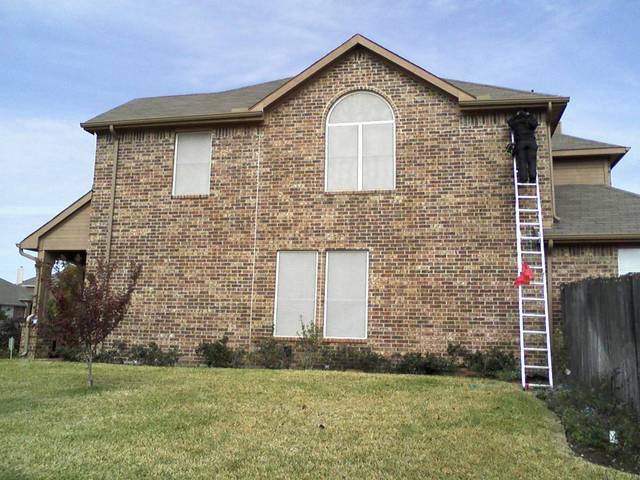 Is that you on an aluminium ladder doing electrical work? Don't remember the manufacturer of the GFCI module, it came off the Lowe's shelf. Yes that's an aluminum ladder, HOWEVER she (my wife, business partner, and licensed apprentice) was working on de-energized 12-2wg, simply making the pigtails and installing the cut-in boxes and receptacles. The circuit runs to the GFCI, the neutral continues from load side of GFCI to the receptacles and the hot runs (from load side of GFCI) through the switch and on to the receptacles. Concerning the ladder, I do have a picture of me doing a tie-in from hot triplex to service pole. Ofcourse that's from a fiberglass ladder. Should have seen my wife's face the first time I said "Watch this". Showed her the circuit for a light ficture was hot, was standing on a 6'fiberglass ladder (making sure not to be grounded), and touched the hot conductor. PRICELESS! [Should have seen my wife's face the first time I said "Watch this". Showed her the circuit for a light ficture was hot, was standing on a 6'fiberglass ladder (making sure not to be grounded), and touched the hot conductor.] PRICELESS! One time I "made sure" I wasn't grounded, and my knee touched a control cabinet while I was working on a 480 volt system. Hello 277, goodbye dirty underwear! Last edited by Redsy; 12/22/07 09:20 AM.